Why could strict dieting make you fatter? 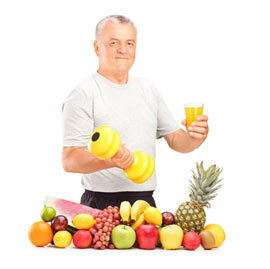 When we exercise, carbohydrate (in the form of glycogen) is utilised for energy. The body has a limited store (on average about 400 grams in the muscles and liver, which is enough to run or walk approximately 16 miles). Due to the limited supply, glycogen replacement through ingesting sufficient carbohydrate is crucial to sustain effective training levels. What a lot of people don't consider is that if a given workout could be devised to utilise only fat stores there would still be a significant problem for successful fat loss. Reason being that if the glycogen stores remained full, then the body would have no other option than to convert all other excess carbohydrate intake into fat! This is why successful fat loss is about nutritional balance and strict dieting can actually be a false economy. Why can it be more beneficial to eat 5-6 meals a day rather than 2-3? DEFINITION - The Thermic Effect of Food = Where more energy (calories) is required for the digestion, absorption, transportation, metabolism and storage of these foods than the actual energy (calories) found in them. TEF accounts for around 10% of your total daily energy expenditure. Regular eating keeps up this additional calorie burning as well as keeping energy levels up. Regular, small meals (similar to our cave-dwelling ancestors) can be powerful for optimising this 10% and preventing huge spikes in sugar and insulin levels. Resting metabolic rate (RMR) can be affected positively and negatively by the TEF. Underfeeding decreases RMR, overfeeding increases RMR and weight cycling (repeatedly increasing and deceasing weight) can decrease TEF. Research has also shown that the TEF of a protein-rich meal is greater than a high-carbohydrate meal, elevating resting metabolic rate higher and longer after the meal. This highlights the importance of protein within meals. Try to alter the emphasis of your training every 12 weeks, perhaps building up from slower efforts to more intense ones and or emphasising weights and other resistance at various times of the training year. Reduce your rest periods between sets and exercises to less than 90 seconds. This optimises intensity and means more calories burned!